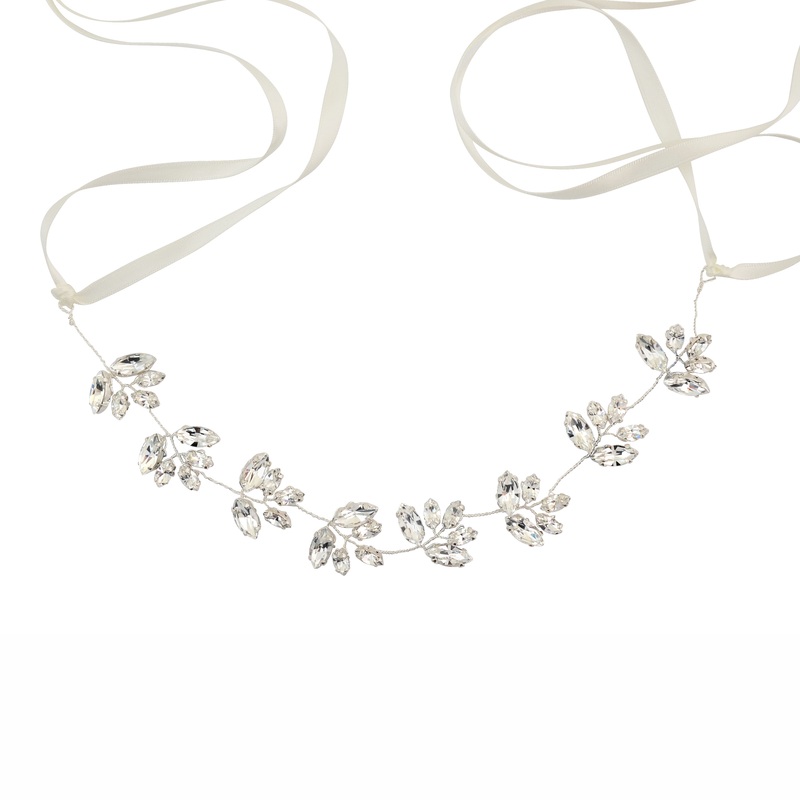 Made from silver plated wire and using the highest quality freshwater pearls clustered together with Swarovski crystals and diamante to create this spectacular statement piece. Put quite simply, Penelope is our new favourite. 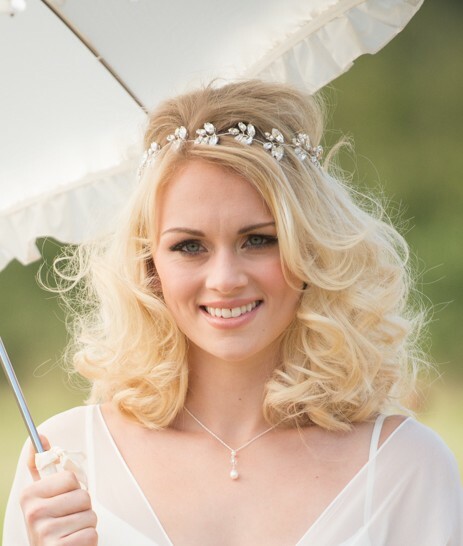 We know, we know, it’s wrong to have a favourite, but not only is the Penelope Wedding headband super versatile with its long ribbons (wear it on the forehead, on the crown, round a bun, even as a belt! ), but she just looks ridiculously lovely whatever you do with her. 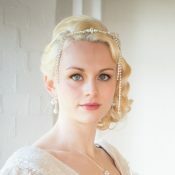 We can fix the design on a rigid hairband if you prefer mind you, we want you to have the perfect piece for your style. 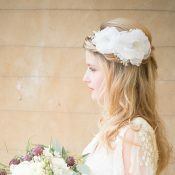 The Penelope Wedding Headband 12inches of painstakingly hand wired crystal navettes, with at least 1m of ribbon (in total) for you to style as you please. 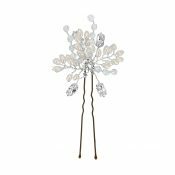 Each ‘leaf’ motif is approximately 1.2inches by 1inch. As seen on Love My Dress. This is made to order and can be made to your personal requirements. 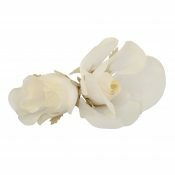 Be the first to review “Penelope Wedding Headband” Click here to cancel reply.